ALBANY — Shortly after the U.S. Supreme Court handed down its Janus v. AFSCME Council 31 decision in favor of wealthy corporate interests, anti-union groups began contacting our members. These anti-labor groups, including New Choice NY, contacted many of you repeatedly, including at your workplaces, to urge you to quit our union. This is yet another scheme to get hardworking union members to quit our union, and lose the benefits and protections of our union membership. 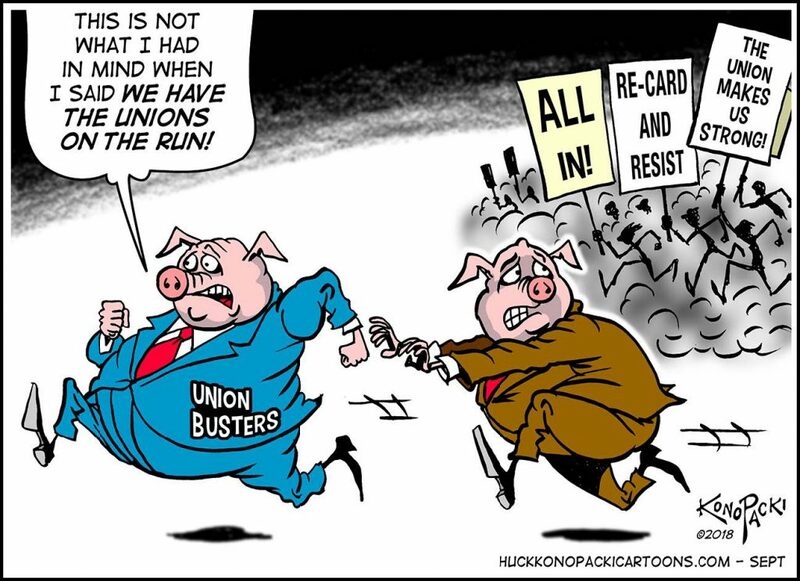 Members are angry over New Choice NY’s blatant attempts at destroying our union. Hours after the court handed down the Janus decision, the governor signed an executive order preserving public employees’ privacy by ensuring that their personal information is not released to any unauthorized individual or organization. Names, titles and salaries are still available by FOIL. In recent weeks, several local government entities have signed similar executive orders. We all need to stand together and fight back, and you can help. Contact your Local or Unit President and let them know ASAP using your personal email account. DO NOT respond to the sender from your work account email. Warn your co-workers and tell them to respond the same way.